Get students interested in STEM! 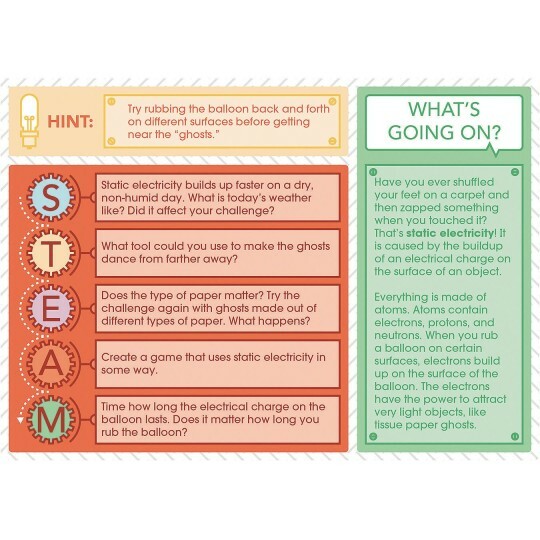 Grab-and-go activities for students that provide instructors with an easy non-intimidating way to add STEM to their program! 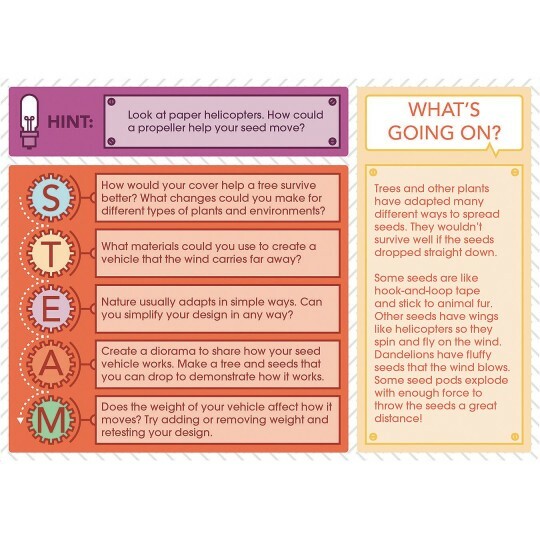 Engage students in hands-on activities that use common materials. Features activities that can be performed independently, in small groups, or as a whole-class activity. 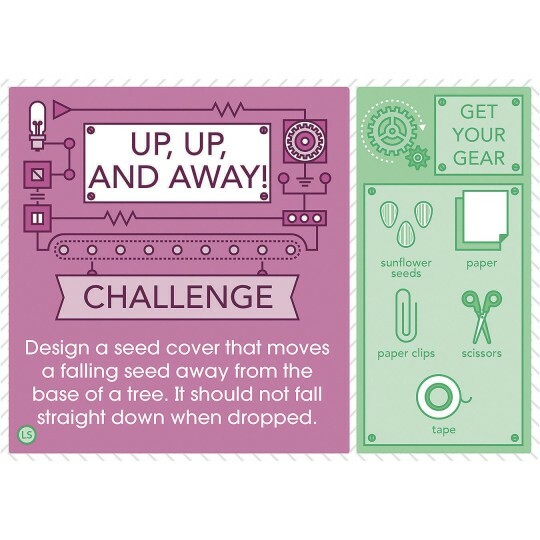 Perfect for rainy day or indoor recess activities! Offers engaging ways to get students interested in science, technology, engineering, art, and math. 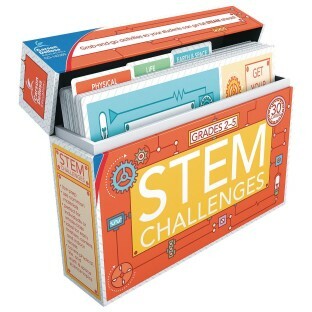 Includes 30 activity cards in a handy, flip-top storage box. Cards measure 5-1/2” x 7-3/4”.